In this first of the Nancy Drew Mystery Stories, Nancy, unaided, seeks to find a missing will. Her search not only tests her keen mind but also leads her into a thrilling adventure. This volume presents the original, 1930 version of the story. In 1959 the story was rewritten and condensed and this original version went out of print. 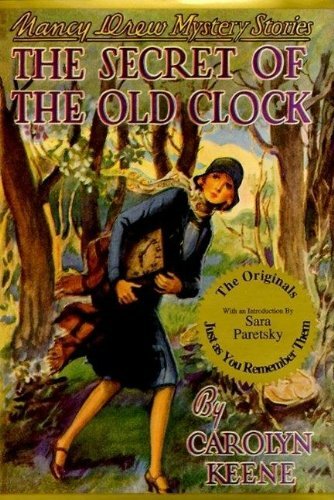 About Sara Paretsky (Introduction) : Sara Paretsky is a published author of young adult books. Some of the published credits of Sara Paretsky include Tunnel Vision, Damned by Dollars. (Review) : An article from: American Scholar. 8/5/2007 Tracy Grand said: My daughter Sammy put Nancy Drew #1 on her summer reading list.